Climb for Life is a fundraising event for HERA Women's Cancer Foundation, a national nonprofit that aims to empower women, researchers, and local communities in the fight against ovarian canter. While Climb for Life events are designed to raise awareness of ovarian cancer and raise funds for finding a cure, they are also a great introduction to the sport of climbing, and its physical and mental benefits. Climb for Life and other HERA events are held throughout the country year-round. For more information about HERA please click here. USA Climbing began the inaugural season of the Collegiate Climbing Series in January 2009. The first Collegiate Climbing Series is held in six regions across the nation with 30 competitions. Competitors in the series must be currently enrolled in an accredited academic institution. Each Series will include individual and team competition. USA Climbing compiles and tracks both the individual and team results on their website. Each series will consist of four local regular season events and a regional championship. Individual awards will be given out at each local event. At the culmination of the Regional Championship, a team champion will be announced as well as the individual series champions. Registration is open on the USA Climbing website. The Schedule of events can also be found there. For more information on the CCS, go to www.usaclimbing.org. The Friends of the Northwest Weather and Avalanche Center is ramping up for the inaugural Snowball Dinner and Auction, an end-of-season celebration to support NWAC. Join the party on Fri, April 10 for some good food, great auction items, shared stories and maybe a prayer for more snow in 2010! NWAC is facing a potential budget shortfall of over $100,000 next year. Come out and show your support for a service we all rely on to plan trips and stay safe in the mountains. More info and tickets click here. Buy them now...tickets will not be available at the door. News to you? Sign up for periodic updates from the Friends of NWAC and get in the loop about avalanche awareness in the Northwest. Ahhh, the time is upon us again. The time of week when we, the Weekend Warriors, can shed our work clothes in exchange for the respective gear of our favorite outdoor endeavors. Since March is coming to a close and Spring has officially begun, at least according to the calendar, I wanted to feature some great Northwest traverses in hopes of getting everyone stoked for the coming Spring and Summer climbing season! Whoohoo sunshine! 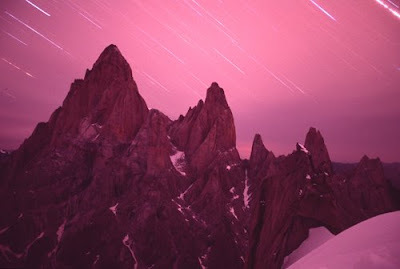 The first video features a traverse of the Northern Pickets of the Cascades. This documents a trip up to Challenger then around the Luna Cirque. If you're looking to escape the crowds this summer this is the place to head. Enjoy! This was my first year joining all the AAIers at Rendezvous, and I didn’t know quite what to expect other than some hopefully sunny weather and a chance to see all our guides in one spot (a rare occasion given that they are guides!). But what I found out is that I can't wait to get back there next spring. Red Rock Rendezvous (RRR) is a huge 3-day climbing festival put together by Mountain Gear with the support of a bunch of sponsors – including the American Alpine Institute. AAI’s responsibility during the event is to plan for and provide guides for all the clinics that are run for the festival participants. On the first day of the festival, Friday, all the attending climbers are in clinics focused on teaching basic climbing skills – learning climbing commands, rappelling, the use of different gear, knot tying, belaying, hand and feet placement and general climbing techniques. One of the reasons RRR is so amazing is this first day. There are not many events in the world that teach people who have never stepped into a harness how to climb on their own. On the second and third days, Saturday and Sunday, the clinics ranged from rock rescue to crack climbing to slacklining to wilderness first aid. The majority of the clinics were run by AAI guides and professional athletes such as Sonnie Trotter, Micah Dash, and Katie Brown. Many of the clinics took place on the festival grounds (especially as the weather turned to rain on Sunday), but most were out in the Red Rock canyons. The canyons are breathtaking this time of year - everything is green and vibrant, there is water in the creeks, and wildlife (birds, rabbits, burros) to be seen. Participants in a course on wilderness navigation - note the mild confusion on everyone's faces as they learn to use a compass to navigate the wilds of the RRR festival grounds . 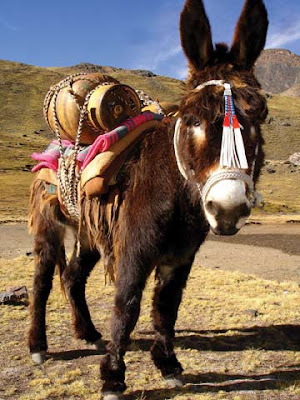 . .
A burro - I can't tell you how excited I was to see this little guy! It is a great opportunity for everyone involved – the festival participants, the sponsors, professional athletes, and our guides – it gives folks a chance to make connections with peers in the climbing world and for the athletes and guides, it’s a great chance to teach new climbers safe and effective climbing techniques. My role (I normally work as one of the program coordinators in the office) was to hang out at the AAI booth and talk to festival participants about what AAI does and who we are, and how we’re involved with RRR. Although I didn’t get to attend any of the clinics (next year I’ll make it happen! ), I did get to do some personal climbing before and after. The AAI booth - come and see me here next year! Because we had 20 of our guides in one spot, we ran a few trainings for our guide staff. As I’m still a pretty new climber myself, I got to be the ‘client’ in Thursday’s training, which was super fun. We all climbed Algae on Parade, a four-pitch route in the First Creek area. On Monday, I climbed in the Calico Basin area - and tried out some of the routes detailed in Jason Martin's new book, Fun Climbs Red Rock. Can you see the rainbow? The rain never seems to stick around too long in the desert . . . In the honor of the Red Rock Rendezvous climbing festival I decided to compile a few "fest" videos. 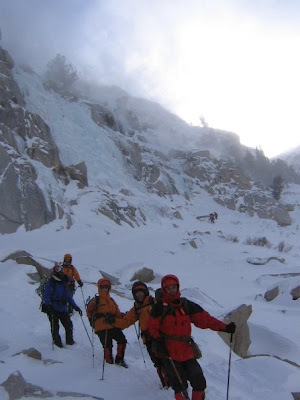 These are pretty varied and cover alpine climbing, ice and mixed climbing as well as skiing. A couple of the videos aren't official "festivals" but who cares...they're still super cool, and they have 'fest' in the name so that counts right? The first video is from the 2008 Ouray Ice Festival. This an incredible event that brings together the best of the best in the ice and mixed climbing world. On an interesting side note, one of our very own guides, Dawn Glanc, recently won the 2009 Ouray Ice Festival...way to go Dawn! The second video features a trip to the Wind River's in Wyoming. 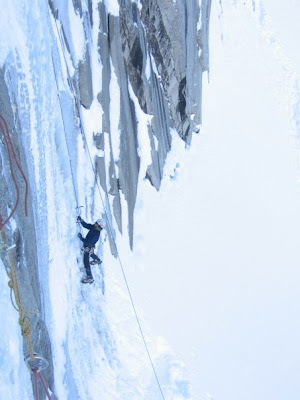 The trip was into the Cirque of the Towers and was dubbed by the filmmakers as "Climbfest 08". This has been a place I've always wanted to go and explore. The peaks are striking, the scenery grand, and the climbing is phenomenal. Enjoy! The final video turned out to be less of a festival and more of a celebration of backcountry skiing. Enter "Snow World 2008", an incredible journey into the beautiful backcountry of Washington. This is part 1 of a 3 part series. I would recommend sitting down with your coffee (or morning drink of choice) and watching all three. Jeffersonville, Vermont—March 16, 2009 Height of Land Publications, the independent publisher of Alpinist, Backcountry and Telemark Skier Magazines, announced today the well-known climber and editor Michael Kennedy will join Senior Editor Katie Ives to relaunch Alpinist Magazine. Issue 26 ships to subscribers, shops and newsstands April 15. 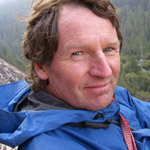 ”My aim is to continue to explore the heart and soul of the climbing experience,” says Kennedy, “building on the incredible foundation Alpinist has developed over the last six years.” Widely known in the climbing community for his work at Climbing Magazine from 1974 to 1998, Kennedy served as an advisor to Alpinist since its inception in 2002. In over 35 years of climbing he has ventured far and wide, from pioneering Colorado ice climbs to lightweight alpine climbs in Alaska and the Himalaya, and he remains an active rock climber and backcountry skier today. Independent publisher Height of Land Publications was founded in Jeffersonville, Vermont in 2002 and currently owns and operates Alpinist, Backcountry and Telemark Skier Magazines. "Our mission is pretty simple," says cofounder and Height of Land Publications Editorial Director Adam Howard, "to publish about that which we live. Michael is climbing, and he understands little companies like ours. It's a perfect fit." Northwest ski historian Lowell Skoog recently posted some interesting facts about the history of skiing in the Cascades on the Northwest ski forum, Turns-All-Year. Lowell has done a great deal of research on the history of skiing in the Cascade range of Washington state. His post on Turns-All-Year indicates that the he believes that recreational skiing on Mount Rainier began with an expedition lead by Milnor Roberts on March 18, 1909. Lowell posted on Turns-All-Year because he recognized that this March 18th marks the one-hundred year anniversary of skiing on Rainier. Lowell has also put together a centennial event to celebrate the anniversary which will take place on March 22nd in Mount Rainier National Park. To read more about the event, click here. The Editor of the National Geographic Society recently asked the members to name those articles in the last volume of the Society's Magazine which seemed most interesting. Opinions on such a question naturally would differ widely, but it must be admitted that in the remarkable array of subjects treated some of the most striking articles consisted of illustrated descriptions of snow-clad mountains and polar regions. The remoteness of these scenes may add to their charm, but it also lessens our chances of ever seeing them. The Mount Rainier National Park, a wonderland of glaciers and snow in our own country, is so easily reached in summer that it is becoming fairly well known to travelers. A recent visit to the park made by the writer and a party of friends has shown that the slopes of Mount Rainier may be reached even in winter without discomfort. 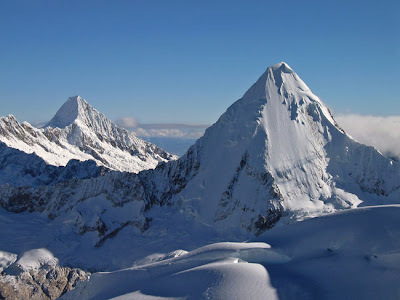 "The peak itself is as noble a mountain as we have ever seen in its lines and structure. ... 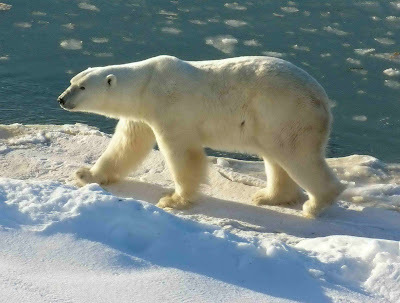 The combination of ice scenery with woodland scenery of the grandest type is to be found nowhere in the Old World, unless it be in the Himalayas, and, so far as we know, nowhere else on the American Continent." The altitude of Rainier has been reported between 14,394 feet and 14,526 feet, placing it either first or second among the peaks in the United States proper. A difference of a few feet, which can be determined only by accurate measurement, is of slight importance to the ordinary observer. The noteworthy facts are that Rainier stands absolutely alone, is snow-clad throughout the year, and may be seen in its entirety from sea-level at distances of forty to one hundred miles to the westward. The Cascade Range, in its north-south course across the State of Washington, has a general summit elevation varying from five to seven thousand feet, above which tower the volcanic peaks of Mounts Adams, Saint Helens, Baker, and Rainier. Glaciers still linger on nearly all the higher peaks, as relics of the ice-sheet which once covered the whole range. Many cirques of former glaciers are occupied now by fields of snow and neve of great thickness. The snowfall is heavy throughout the mountains, due to the chilling of the warm, moist winds from the Pacific. In spite of the glaciers and snows, the winter climate of the Cascades is mild. The railway station nearest to the Mount Rainier National Park is Ashford, on the southwest, fifty-five miles from Puget Sound by the Tacoma and Eastern Railway. Camping parties with wagons or automobiles must come in from the lower country by the county road passing through Ashford, but pack-trains can be driven into the park by four or five other routes. The county road from Ashford continues up the Nisqually River for six miles, to the western boundary of the park at which point it joins the government road. 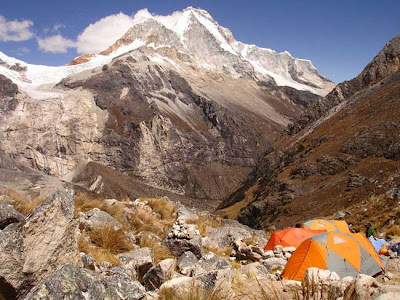 The latter has a maximum grade of 4 per cent, and extends to Paradise Park, a favorite camping ground near timber-line, between the Nisqually and Paradise glaciers. In summer the Ashford stages run thirteen miles, to Longmire's Springs, where there are two hotels. The road is open however past Nisqually Glacier and Narada Falls several miles farther up. During the season of 1909 a temporary road with steeper grades will be completed to Camp of the Clouds, at an altitude of 5,600 feet. Eventually the permanent road will reach 7,000 feet, where trails will branch off. An automobile party leaving Seattle or Tacoma in the morning can pitch its evening camp in one of the dense groves of stunted trees at timber-line in the shadow of the great peak, looking out upon the jagged pinnacles of the Tatoosh Range and the vast forest wilderness to the westward. On March 18 our party found three feet of snow at the National Park Inn at Longmire's Springs. On the morning after our arrival a dense cloud-bank hung a few hundred feet overhead. Frequent flurries of snow came drifting down from it, now in matted bunches of moist flakes an inch wide, again as separate crystals, these in turn giving way to little rounded pellets like dry sago, which hopped from bough to bough down through the evergreens. Our skis settled silently through the fresh snow, as we trailed up the government road along the Nisqually River, intending to break a trail part way to Paradise Valley, the goal of our trip. During the midday thaw, masses of snow clung to the worn spots on the sole of a certain ski in the outfit. After many gyrations and contortions had been made by its fair owner in removing the burden, she announced piously, "My soul is ready for Paradise," and on we "mushed" again. On the trail up the narrow valley of the Paradise River the snow was found to be a foot deeper for each two or three hundred feet of elevation gained. So quietly had the flakes fallen in the sheltered valleys that each stump and fallen tree was covered almost as deeply as the surrounding ground, as some of the photographs show. On the exposed ridges, however, the winds had piled huge drifts over the brow of every leeward slope. Cornices of snow overhanging the crags of Eagle Peak had broken off and shot down its precipitous northern side, coming to rest on a long talus slope near the stream. There we reveled in ski sliding and jumping. Huge boulders in the talus beneath the seven-foot covering of snow had caused hummocks on the surface which served us in place of the artificial take-offs used in regular ski jumping. Two divisions of our party made the ascent to Paradise Valley. The first group consisted of three men, including the writer. We followed the general course of the horse-trail, but made frequent cut-offs by crossing Paradise River on the snow bridges. The only toilsome part of the journey was at Narada Kails, where we were forced to navigate our skis sidewise, in crab fashion, up the steep slope. Half a mile farther upstream, on the second bridge of the government wagon road, the snow measured more than two ski-lengths in depth, at least fourteen feet, without a sign of drifting. Under the bridge was a pool of open water overhung on all sides by rounded cornices of soft snow. A few inky-bottomed wells marked the upper course of the stream for a short distance, until it disappeared entirely under the deepening load of snow. The long, open meadow in Paradise Valley lay like a smooth floor of snow, rising slightly until it merged into the final slopes of Mount Rainier. The surrounding ridges, dotted with the tops of stunted trees, had been so rounded and smoothed by drifting that the small gulches and hillocks of ground were almost blotted out. Constant shifting of the dry snow had produced a fine, powdery surface everywhere. All appearances indicated that the snow in the open meadow of Paradise Valley was much deeper than at the bridge where we had neasured it. The difference in location and elevation of the two localities may be held accountable for such a condition. Some marks which we made on a tree trunk at the surface level of the snow will be interesting reading in summer. Excellent views of Mount Rainier and its southern glaciers were had on a brilliant sunny day from the Ramparts, a long ridge covered with standing burnt timber, extending southward from the mountain. A series of cascades in the South Tahoma Glacier caused the ice to stand out in jagged blocks against the skyline. The surface of the Kautz Glacier was perfectly smooth with snow except at its cascades. From Gibraltar Rock a snow banner as large as the rock itself waved to the eastward. On March 24, another cloudless day, two young ladies of our party, accompanied by James McCullough, watchman at the National Park Inn, made a ski trip to Sluiskin Falls, considerably beyond the point reached by the first party. As both the ladies had ascended Rainier in summer, they could enjoy to the utmost the wonderful view of the snow-clad range spread out before them. The Cascade Range in its winter garb is just beginning to be appreciated. Hotels at several mountain resorts now remain more or less open throughout the winter. The great advantage of visiting the higher altitudes lies in the drier snow usually found there, with only a slightly lower temperature. 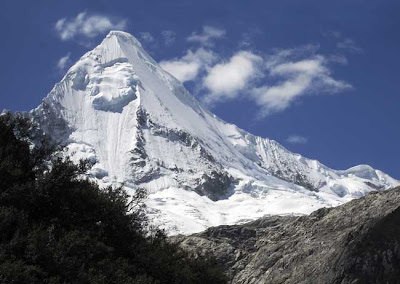 The beauties of the forests and the snow-fields may be seen without hardship by any visitor, while experienced mountaineers have unlimited opportunities for climbing and exploring on trips of two or three days. The writer's experience, gained through mining work in various parts of the range at all seasons, has been that only the severest storms or the heaviest rains make the Cascades unpleasant. So far as ski sport is concerned, it would be difficult to imagine more perfect riding than can be had on the many miles of varied slopes in Paradise Park. Judging by the fresh tracks of snowshoe rabbit, weasel, marten, fox, wildcat, white goat, and bear which our party saw in a few days, it is safe to say that the Mount Rainier National Park offers good chances to the camera-hunter. It's spring and some of the biggest climbing events of the year are getting underway in the desert just outside of Las Vegas! 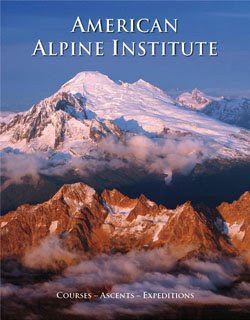 As usual, the American Alpine Institute will be an integral part of the Red Rock Rendezvous festivities. If you are interested in attending, be sure to sign up. 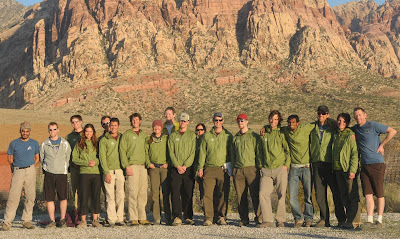 We will have dozens of guides in the area and will be running daily climbing trips to Red Rock Canyon. 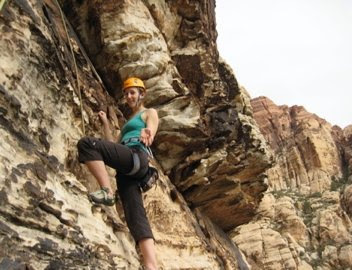 To book a day or more of guided climbing in Red Rock, give us a call at 360-671-1505. Red Rock Climbing Center will be hosting their annual Pebble Wrestler Round-Up bouldering competition on Wednesday, March 18th from 5:30-9 p.m.. The cost of the comp is $15 in advance or $20 the day of and features three categories each for both male and female participants: Beginner, Intermediate, and Advanced. The comp will feature over 80 new problems and a fun, encouraging vibe! The first 75 sign-ups receive a climbing dvd valued at $30 and EVERY competitor a raffle ticket for the post comp prizes! Prizes will be awarded to the top finisher in each category but the rest of the many great prizes will be raffled off regardless of where one places! Come on over and throw yourself on the many new plastic classics crafted by our esteemed route setters! 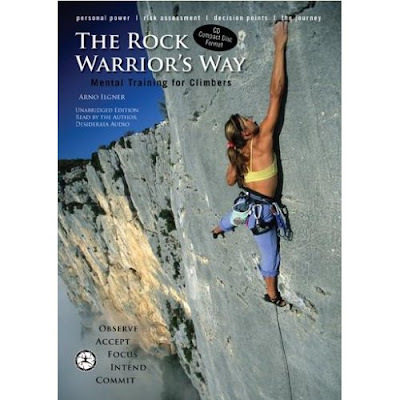 Join Arno Ilgner at the Red Rock Climbing Center for a course on mental training for climbing. Arno is well known for his book, The Rock Warrior's Way. To read more about this clinic, click here. Desert Rock Sports and Red Rock Climbing Center are excited to announce that on Thursday, March 19th we will be holding our much anticipated, annual Spring BBQ/Slideshow/Fundraiser with a presentation by the legendary Peter Croft! The festivities will start with a BBQ, by donation, in the parking lot of Red Rock Climbing Center from 6-7:30 p.m.. 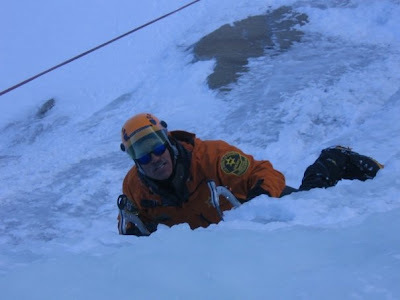 The Peter Croft slideshow will follow at 8 p.m. in Red Rock Climbing Center at a cost of $10, which also includes one raffle ticket for the plethora of post slideshow prizes! Slideshow tickets and additional raffle tickets (cash or check only for both) will be sold at the BBQ and at the door. Extra raffle tickets can be purchased for $3 per ticket, $5 for two tickets, and $10 for five tickets. All the proceeds from this event will benefit the Las Vegas Climber's Liaison Council (www.lvclc.org) and their ongoing grassroots efforts pertaining to the many climbing areas surrounding Las Vegas. We hope to see many re-emerge from winter hibernation to chow down, hang out with fellow climbing tribe members, get inspired by a climbing master, and hopefully go home with some scored gear! The weather should be good, the company even better, and the prizes epic! 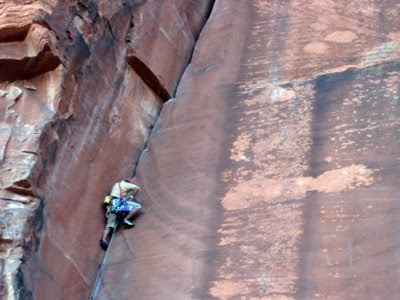 Mountain Gear Presents: Red Rock Rendezvous” rock climbing festival willtake place this year on March 20-22. This event has climbing clinics for all skill levels at Red Rock Canyon near Las Vegas, including a Friday “Intro to Climbing at the Red Rocks” day run by the American Alpine Institute. On Monday, March 16 the National Park Service road crew will begin the annual operations to clear and prepare the Denali Park Road beyond park headquarters (Mile 3) for vehicle access by park visitors. They expect to encounter deeper snow and more drifting further out in the park than they have in recent years, due to reports from overflights and remote weather stations. Last week the Toklat station at Mile 53 was reporting 19 inches of snow, and there were 27 inches at Kantishna. In March 2008 the stations recorded four inches at Toklat and 21 inches at Kantishna. This year it appears that crews will have less overflow ice to remove from the road. The new culverts and improvements made at Mile 4 – 4.5 last year have been successful in controlling the overflow that has historically built up on this section of road, which is just west of park headquarters. In addition to removing the winter accumulation of snow and ice, road crew personnel must steam open culverts clogged with ice to prevent road damage caused by the runoff from melting snow and rain. They will also make repairs before opening the road for use by the public. Updates and pictures of the spring road opening operation will be posted regularly on the park website at www.nps.gov/dena. Access to park areas west of headquarters for snowshoeing, mushing, cross-country skiing and other seasonal recreational activities is available on the Spring Trail, which runs south and parallel to the park road. The trailhead is located near the entrance to the park’s sled dog kennels. Visitors using the road should expect to encounter snow removal equipment. Please make certain the equipment operator is aware of your presence before attempting to go by. Depending on the weather and road conditions, the park road could open for travel to the Savage River (Mile 15) by late March to early April, and to the Teklanika River Rest Stop (Mile 30) by mid to late April. Visitors are advised to call before their trip to confirm opening dates. The Murie Science and Learning Center (MSLC) at Mile 1.3 is open from 9:00 a.m. to 4:00 p.m. daily as the winter visitor center, providing information and backcountry permits. Ranger-led snowshoe hikes are taking place on Saturday and Sunday at 1:00 p.m. through Sunday, March 29, conditions permitting. The Riley Creek Campground at Mile 0.2 is open year-round, but water and sewer services will not be available until later in the spring. A vault toilet is provided for campers in the loop that is currently open, and water can be obtained at the MSLC. 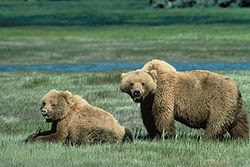 Denali National Park and Preserve collects an entrance fee year-round. The entrance fee of $10 per person or $20 per vehicle is good for seven days. The majority of the money collected remains in the park to be used for projects to improve visitor services and facilities. Interagency Federal Recreation Passes such as the Annual, Senior, and Access Pass, and the Denali Annual Pass are also valid for entry into the park. 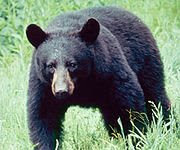 Additional park information can be obtained by calling (907) 683-9532 from 9:00 a.m. – 4:00 p.m. daily or on the web at www.nps.gov/dena. Weekend Warrior -- Videos to get you stoked for Red Rocks! In case you didn't notice in the title of this weekends edition of Weekend Warrior but it is all about Red Rock! The time of year is once again upon us for the famous and much anticipated Red Rock Rendezvous. This wild and crazy climbing festival is coming up next weekend on March 20 - 22 and I hope some of you can join us there. For those unfamiliar with the event you can check out the website here. I've chosen this weeks videos to give you a little taste of what the Rendezvous is like. Here is a compilation of footage from Red Rock Rendezvous 2007. Look like a great time huh? 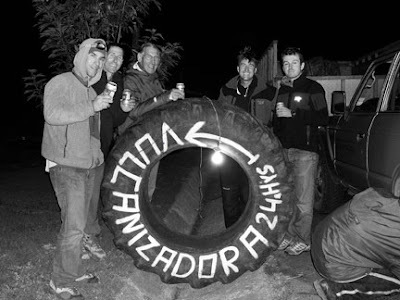 Lots of great climbing, delicious food, interesting people, beer...what more could you ask for? The final video is a showcase of one of the more popular routes at Red Rock Canyon, the famous (or infamous if you hate chimneys) Epinephrine. At about 15 pitches this 5.9 is guaranteed to give you a full day of adventure and fun.